Visiting speaker Monika Sattler '08 encouraged a group of Global Studies and International Business students during a recent trip back to campus to "try everything." "I believe you create your own opportunities," she said. "You create your own luck." Monika Sattler '08 describes herself as a risk taker. And, that risk-taking has paid off. Since graduating from Bryant 10 years ago, she has lived on three continents, written a book, and become the only woman to ride all 21 stages of the famed Vuelta a Espana, a three-week Grand Tour cycling stage race. "You have to just go for it," says Sattler, who is originally from Germany. "Especially when you're young. If you have an opportunity that doesn't sound perfect, but it would give you an amazing experience, just go for it." "Try everything. I believe you create your own opportunities. You create your own luck." She worked at The World Bank and the International Monetary Fund in Washington, D.C., and for IBM in Australia and Switzerland, but realized that those jobs weren’t the right fit. She then founded RAD Monika, which hosts workshops and webinars designed to build self-confidence and create a sustainable path to reach one’s goals. Sattler, who majored in Global Studies, talked about her journey with Global Studies and International Business students during a recent trip back to campus. Her visit was made possible by the William T. O'Hara Distinguished Lectureship Endowment, which is named for the late President Emeritus Dr. William T. O'Hara '90H and supports visiting International Business speakers. "Try everything," Sattler urged the students. "I believe you create your own opportunities. You create your own luck." English and Cultural Studies Professor Alex Perullo, Ph.D., who is also the director of the Global Studies program, said his students benefit every time they have the opportunity to engage with speakers such as Sattler. "This is someone who followed her passion in a bunch of different directions," Perullo said. "For Global Studies, when you graduate, the path is not quite obvious. She took her time to figure out what she wanted to do, but she is much happier for it. That's a hard thing to tell students." "Monika coming back here really shows a great appreciation of where she started," said Krystal Feliciano '19, a Global Studies major. 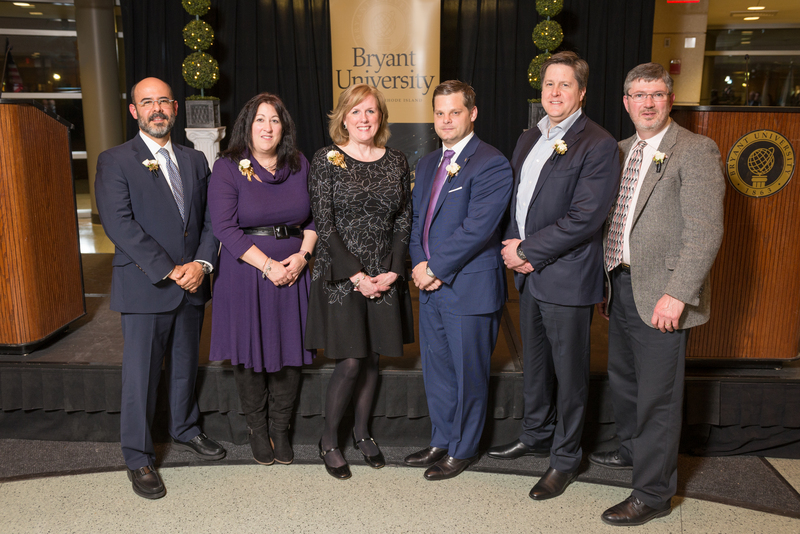 "Coming back to Bryant and taking the time to talk to students is really honorable."